Would I buy such a Game ? Quote: "Please leave him some positive feedback on this post"
used it as a development tool to look up how particular old games played "
And I also wondered if I should have reordered the text on that help screen to have right click to rotate unit first then have left click to place second instead of other way around as it is now. So I completely understand the confusion there. Yep that's great C64 style etc. When I say like an arcade game it is conceptually speaking of the way arcade games strived (generally) to keep controls very simple regardless of complexity in the game whereas computer games often passed that complexity on to the player with a large number of keys and such being required for some games. Thanks again I really appreciate it and will update accordingly. And I am glad you enjoyed it. Just saw your second post. It is interesting on the graphics because everything is exactly the same resolution. I think it is probably a case of just the colors used on the enemies highlight the ultra lowrez more. Maybe I should soften those a bit. Also the fog is probably affecting the area more than the enemies again just due to the difference in colors used between background and sprites. Love the game over screen . I would want to have energy bars above the enemies so you can see how hurt they are. I would like to be able to place turrets at more places and that they auto aim at a specific distance to the closest enemy. No nead to rotate your self. I found a weird bug after wave 3 i belive ? seamed the screen offseted it self a bit up? I found the game to be a bit to hard ? Maybe lesser energi on the enemies or more powerfull shoots? Fantastic feedback. Thank you Cliff. The health bars on enemies I was going to add like on the towers but decided to just get some feedback first and nobody mentioned it then I could be a slacker and not do it. Lol I will add enemy health bars! I am terrible at this! It does look really good though. The bugs are awesome. Thanks blink0k for giving it a try. Okay, lunch break so I just uploaded the work I did last night based on the feedback I received so far. This isn't all of it. I will do more tonight. I did another round of polish (like I said this was going to be at the end but it is close enough)... adding more detail and changing the colors of the enemies to smooth out the blockiness slightly and possibly look a little better too. I made the game slightly easier from the start (it always has started out "easy" and gets increasingly more difficult with each passing day). Instead of completely hiding all of the "locked" build spots... all build spots are now displayed at all times and the ones that are currently locked are colored with dark red. That was great feedback on those build spots because nobody would know that as you play every few levels a new build spot is unlocked. Now they should be able to see that. And I also made it so the first one unlocks during this 3-level demo. The demo is available to play at the same place... here. Look allot better with the new cosmetic changes did you also do the background again? Dont know if i meantioned last time but i do love the fire scene very effective is that a pixelated sprite animation ? Good. That is the last of graphics improvements. Well I mean I still need to give the other 3 enemy types their next round of polish but then they are done. I didn't change the background imagery or colors other than now the game shows all of the build locations including the ones that are not unlocked yet (the red squares). Previously those were hidden and only appeared as they were available. However, I did adjust the fog a bit and that does change the appearance of the background slightly. I didn't update those info screens yet so my guess is it is because you already knew how to play so now when reading the information you interpret it based on your experience. Awesome! Yes I spent a fair amount of time making a city scene then copying it and updating to damage the buildings then creating the burning fire animation. Yes those are just sprites. I was going to do it with individual particles but instead these are animations of particles. 34 frames for the fire animation. 86.5 hours of development now (includes some work not in the demo yet) and 6.5 hours on marketing work = 93 hours. I have chilled out taking a break and doing some work too. Last night didn' do much of anything but I did start on updating the information screens. I will also be adding more of them. It may well end up like those old DOS games from Apogee and others that had like 10 to 20 screens of information to read through. lol Not sure people's brains can handle that today but hey all I can do is make the information available if people choose not to read it that is up to them. Making games especially doing stuff like these help screens it all adds up to a lot of work but is needed I think. 89 hours of development and 6.5 hours of marketing work = 95.5 hours. Now have 12 screens worth of information. Fortunately, each screen is a very focused quick read. I will be glad when I get these done. Actually... I think I only have one or two more to do and can knock those out tomorrow since I don't have to work. Well awesome work here GarBenjiman, you should be so proud in getting what you like to achieve. LOL! I am very content or will be anyway once it is actually complete and released. I've enjoyed it a lot and poured a lot of time into it. But I think it also turned out very well. I think I did a good job defining the scope to be a great balance of a very solid game experience and very realistic to do in a reasonable amount of time. I think from a business perspective I probably spent way too much time. I mean 100 hours would need to generate $4,000 which is about $5,700 before stores take their cuts. And that is huge number of sales required which almost certainly won't even come anywhere close to that. If I could have pulled it off in 10 hours so only needed to do about $570 in sales that would be much more realistic to achieve. But that's the way it is. I am giving it a great effort and have enjoyed it. And yes I think I've made a good game here. Ha ha. I am sure Rockstar and most AAA companies are making great money but games produced by well established companies by teams of hundreds (Red Dead Redemption 2 was made by a team in full of about 1,000 people from what I read) really have nothing to do with us solo devs or even tiny 2 to 3 person teams. They spend tens of millions even hundreds of millions on development alone and then spend at least the same all over again for marketing. I don't even look at those games at all. I do check out a lot of solo developers and tiny 2 to 3 person team games. Something like Necrosphere I think is a reasonable target for a team of 1 to 3 people even though it was produced by a team of 7 very experienced people. Need to keep a realistic perspective. So many times I've see people spending too long making games to ever make it worthwhile from a business perspective. The more time and money spent to make the game the more money you have to make from sales. But it doesn't work that the more time you spend the more sales you are guaranteed to make. It can. But it is not a given. I've seen solo devs and tiny teams spend 3 years or more on some very nice looking games (2D, 3D it doesn't matter) and end up making a few dozen sales or a few hundred sales... either case is devastating to them for all of the time they put in. It really is. They work hard for years and feel like it was all for nothing. I just think that kind of huge time and expense on investment is fine to do after you have made several much smaller (even tiny) games and got some success and established yourself to some degree. That is basically how I am approaching it. Start out tiny work my way up little by little. All I can do is do as best as I can starting out tiny and working my way up. Have 18 screens of information in the Learn section now. So the information is there for the players who want to take the time to learn about the game and how to play. Also set up the game page at itch.io for this playtesting demo version. The latest version is now here. I am no longer maintaining it on my website. That's why I asked fubarpk to remove that old link. Currently I have it available for free web game at itch.io just for playtesting. Playtested and finetuned things here and there. Added some sound and visual fx for building, repairing & upgrading the units. Did a pretty big round of polish focusing on the colors used by the game. This is most likely where it will stay visually now. It now basically looks the way I envisioned it would end up way back the very beginning as far as overall "look" goes. I think this is extremely good & detailed for a game that takes place on a 128x90 screen. Still not done. Need to add health bars to the enemies and maybe a few more bits of polish here & there. And at that point this game as far as a straightforward defense game will be done. So I need to decide do I just want to call it done & release it (probably) or do I want to go ahead and add in boss battles and mini games every few rounds. When I click that link it says a password is required to access that page. Oops!!! 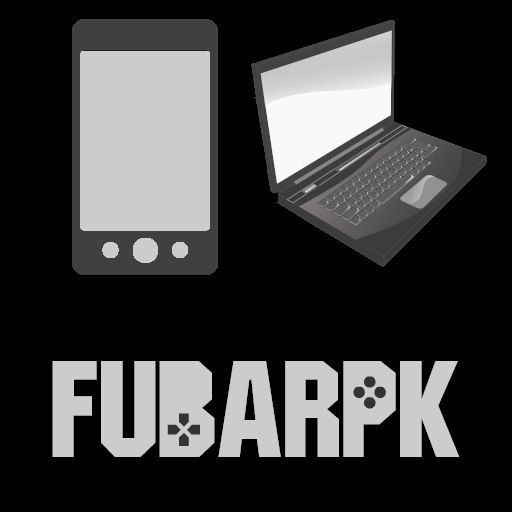 Hey fubarpk thanks for letting me know! I have updated the link above. I sit this up with restricted access since it is in a fairly small testing phase now. It doesn't actually show up on the itch website for example. Only a couple of communities know about it for now. Do you have to have the right unit selected at the bottom to do a repair?. Thanks. It doesn't matter what unit is selected or what image the cursor shows. As long as you have the cursor over a damaged unit and have enough money you can repair it. More updates... very close to having it finished now. Focusing mainly on polishing it up now. Added more audio (of course you won't hear that here made a couple more color updates and added the start of play message scroll as well as coming up with a streamlined GUI for people to be able to pause the scroll, quick scroll and exit the message all by the mouse. Just to keep into that whole simplicity of interface goal. Did some other random bits here & there like changing October to November on the Title Screen, bit of clean-up, fine-tuning, etc. I still have to finish the end of day messages... got about half of them done. Also need to add the win game sequence, some more audio and either some ambience or music. I tryed to play it but the resolution is huge for my display? I have 1920x1200 that is pretty high for laptops. I could not play because i had to scroll around in the web browser to much.. I have a scaleup for text as it have only a 10 inch screen? You set this in win 10 and dont know how that affects it? And that takes some extra time lately..
lso added to collection on itch. I found a bug with the tower at the bottom of the screen in the middle if it faces left. Either make the paths move closer to the bottom or move the turret slightly up on the screen. Excellent! Thanks for letting me know Cliff. I will try to duplicate that tomorrow and fix it. I took a break from the project completely yesterday. Been visiting the Unity forum the past week or so. Tonight I did a little work again. Tomorrow I will do some more. Think I mentioned my next game I'd like to do another 3D project. So been wrestling with the idea of wrapping this up very soon to get on to that next one or maybe starting that one and alternating between the two. Pretty much decided to stick with this one until it is finished I think. I didn't notice until after recording the video I had reversed the camera angle when player ship turns. A simple fix simply adding 1 negative sign. Again it was just a quick 45 min project with nothing in it really. I don't know if I'll make a Star Fox type game this was just for fun basically. A quick test. I only know I've done so many 2D game projects I'd like to do another 3D game project next. Then after that I will probably do another 2D game again. Might alternate from now on. Who knows really. Anyway tomorrow back to the defense game! StarFox was one of my faves! I worked on this again last night. Enemies will occasionally (not often at all) drop a powerup player can click on to collect. Those load in the GUI bar at the bottom center and when mouse over that area they show up. Then player just clicks to use. There are 2 powerup types. Each is a super weapon basically calling in for air support. Worked on it a little each of these past 3 nights including tonight. Most notable improvements are now if you hit space in the beginning seconds of a day Fast Play mode is activated which speeds up everything for about 10 to 15 seconds. Second is when an enemy is destroyed it will sometimes (rarely) drop a powerup. These are collected by clicking on them and the corresponding super weapon is added to your inventory. Just mouse over the GUI at the bottom middle and your super weapons inventory is displayed. You can only ever have up to 1 of each. Mouse over the super weapon and click to use. I still haven't implemented the actual destruction from them. That is next on the list. LOL I get what you're saying and have thought about making a few more background tiles and possibly even having some animation. It's not something I'm concerned about though. Graphics is something a person can end up wasting hundreds or even thousands of hours on just endlessly tweaking everything. Better imo to get the game done and put that graphics time into the next game. BUT I might do one final round of polish and hit them a bit. Right now I am focusing on just getting it done and released and have a bunch of other things to finish. Didn't finish by 100 hours or by 105 hours but just maybe I can wrap this up by 115 hours. I completed the special weapons attack and then returned to work on writing the end of day story snippets. I can finally see the end of those now only four more to write! Anyway just an update this is how the special weapons ended up. They will have a very low drop rate because they definitely give the player a big advantage especially on the lower levels when the enemies have low health. Besides, there just aren't many available... if there were there would be no reason for the player to be out there with ground turrets. Wow! Those explosions are awesome! Also had an issue in the game I had to fix with the animation system but that is solved. I'll probably release the game this coming weekend and focus on marketing as well as thinking about starting on my next game project. I definitely want to do a 3D ultra low poly game but I decided it would be very beneficial to make a series of tower defense games with each building on the last taking the best parts and continuing to expand on the gameplay. Not sure how far I will go with that but I would like to do one more. That one will also increase the resolution from 128x90 to 160x120 which will be handy. I might possibly work on both game projects at the same time well alternating back & forth between the two to keep things fresh. Does itch allow us to give you positive reviews of the game? How is the marketing coming along? And just now I completed my game trailer from those materials. This stuff all just takes time so much time people I think don't get it. I mean I know YOU do but many developers who don't make games and release them for sale don't understand that making the actual game is only about 1/3 to 1/2 of the actual work involved. I just spent 1.5 hours just designing and creating my game trailer. Might make one or two more. Yes I can turn on comments and ratings. I haven't even got to that stuff yet. I will probably set up a forum there for customers. So much work. I still hope to launch the game this weekend. Thanks @fubarpk! Yes during my extensive gameplay testing & balancing sessions I found that it was taking too long so I implemented a fast-play system at first that simply always sped up the entire game considerably. However, I realized that wasn't quite what I wanted AND I thought hmm... I can make this an actual feature if done correctly. So it is one of the innovative things that my game unique. The Fast-Play system speeds up the game when there is no action going on and automatically resumes normal speed whenever action is going on. I made a second Trailer which does a better than the first I think. Because it fills in important details that were not covered in the first trailer. For a few different reasons I've decided to delay the launch until January 1st. First, I need a bit more time just to get things set up ready for the launch. Second, I don't think launching 9 to 10 days before Christmas is such a great idea. Most people I know are thinking of finishing off their Christmas shopping, planning family get togethers and so forth. I am thinking that is pretty much how folks are in general. Third, if the game happened to get enough interest to generate $600 or more before the end of the year I'd need to file that for income at tax time. I'd must rather have an entire year to do this before I have to mess with all of the extra paperwork filing income taxes. So... it's great I have pushed hard and made a lot of progress. Now I can maybe even make the game itself a little better. And I have time to set up the game pages at the other sites. And I have time to start messing around with my next game project so by the time this one is launched I should already be started on the next game. The game now allows players to select one of 8 different color themes. The default theme (which I made a final pass on to improve) 6 different monochrome color themes and grayscale. Although the updated default is much better than previously any of these additional 7 color themes really fits well with the ultra low resolution of this game in my opinion anyway. I still have a tiny bit to do on those just tweak levels of brightness here and there a bit but it is about 95% complete at this point. I also cleaned up a few unused audio files as well as optimizing the images such as one case of consolidating a few different sprite sheets into a single sprite sheet which reduces draw calls and shrinking the size of all sprite sheets to 1/2 or less. Previously during development of course I had left them larger so I could add stuff with ease. I can't imagine this game having issues with performance but still it can only be a good thing to reduce draw calls and memory requirements. Will post a video tonight after the color selection is finalized. Okay, here is how the game ended up with the final palettes. First, the default arcade like palette has been improved to be much more cohesive. Second there are 6 monochrome color themes and 1 grayscale. I just figured at least some players would appreciate this. Some might like it better with the default. Some might want to play the game in cyan. Another person's favorite color might be blue or green, etc. One or two of the palettes are very much like the old Gameboy color games. I think this monochrome style goes well with the ultra low resolution although I am quite happy with the default color scheme now too. I need to add my AppGameKit logo splash screen to the start of this. I'll have to work on making an ultra low resolution version of the logo tonight just so it fits the visual style used by everything else in the game. So basically a 128x90 splash screen. 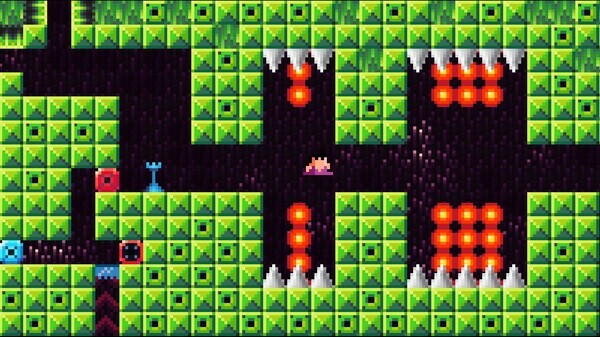 I think the game ended up with a unique look and looks very good for 128x90 resolution which is lower than the PICO-8 games even. Still I will be increasing to 160x120 resolution for my next 2D game. That will be an additional 66% of screen real estate which I can put to good use! HOLY CROW! Not sure when but this thread seemed to get a lot of interest while I was away... just noticed it now has over 3,000 views. The release of the Defense Game is almost here! AppGameKit really worked extremely well for this game. There are several different systems at work behind the scenes from the enemy wave management to the defensive unit stats by level (there are 4 unique unit types and each defensive unit can be upgraded to level 5), etc. Yeah I temporarily disabled embedding on external sites until I officially launch. That should be tomorrow. Been working my arse off on getting things ready.